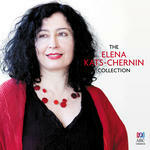 The Schubert blues / Elena Kats-Chernin. 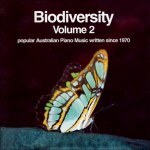 Some time ago Roger Woodward asked me to write a piano solo work for the Spring Festival. This request resulted in "The Schubert Blues". It is based on Schubert's "The Death and the Maiden"'s main motive which eventually leads to a round of eight chords, something of a "memory cycle", as these harmonies have a flavour of a music long past. My main interest lay in the radicality of the motiv's transformation-harmony, pitch and register rather than rhythm and the degree of the repetitiveness of the chord cycles. First performance by Tamara Cizlowska — 1997. 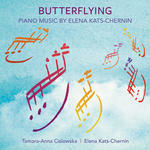 CD: Butterflying : piano music by Elena Kats-Chernin / Tamara-Anna Cislowska, Elena Kats-Chernin. 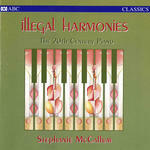 CD: Illegal harmonies : the 20th century piano / Stephanie McCallum. - Article: Bricolage in the music of Elena Kats-Chernin / Jane Stanley.